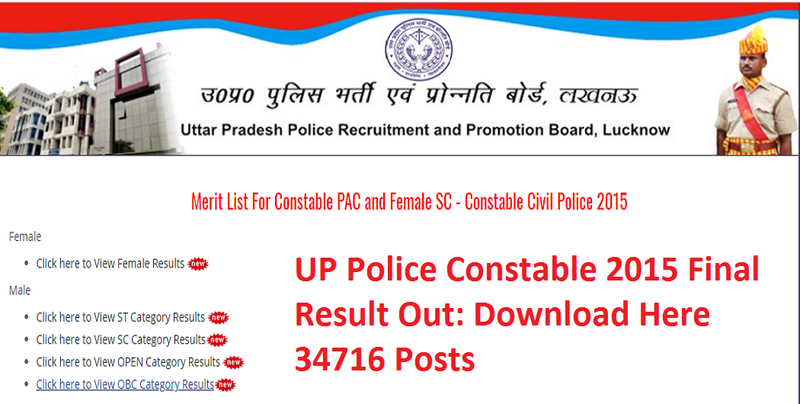 UPPRPB has released final result of UP Police Constable 2015. Total 34716 posts had been published for this recruitment. Candidates may check his/her result at official website of UPPRPB i.e. http://uppbpb.gov.in/. 2. 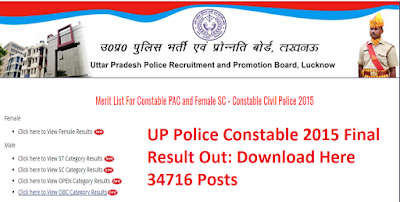 Click on UP Police Constable 2015 Final Result. 3. Click on Result PDF link.